Sambucus Immune Lozenge / 30 Lozenges - Nature's Way®. 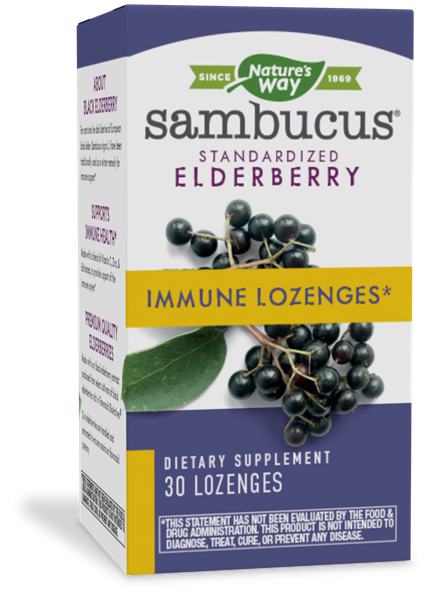 Nature's Way® Standardized Sambucus is the full-spectrum black elderberry extract. Adults: Take 1 lozenge as needed up to 4 times daily. Children 5 years of age and older: Take 1 lozenge as needed 1-2 times daily.